Put Druid Hill Park's tennis and basketball courts, roads, reservoir, conservatory, and zoo all aside for a moment. In essence, the park is 674 acres of forest and tree-shaded lawn, an oasis of green in the center of a busy city of brick and asphalt. 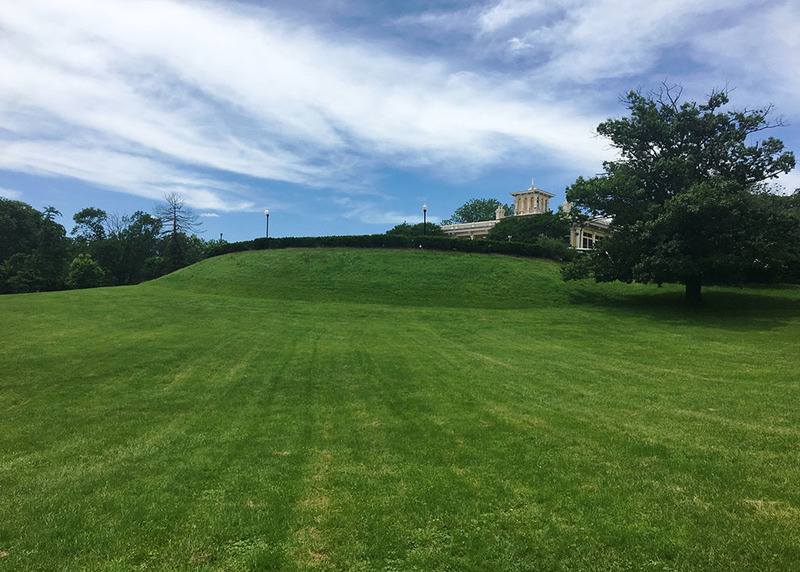 Lawns bound and slope all over the park, but the one that has always reigned supreme is the one that cascades down the hill in front of the Mansion House toward the reservoir. "Buttercups bloom and children play joyously amid the grasses and sunshine," waxed one Sun reporter poetically of the Mansion House lawn. Since the park's founding in 1860, the grassy hillside attracted thousands upon thousands of visitors for music concerts, Easter egg rolls, public rallies, patriotic celebrations, Boy Scout campouts, private picnics, golf and track practices, and quiet kite-flying afternoons. It has remained open, green, and welcoming—and trim—all the while. Frederick Law Olmsted, the father of American landscape architecture, thought that sheep did a better job trimming grass than lawnmowers. 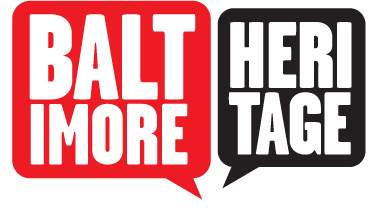 Active in the latter half of the twentieth century, Olmsted designed many of America's most famous city parks (although not Druid Hill). Several of these also maintained flocks, including Central Park in New York, Prospect Park in Brooklyn, Franklin Park in Boston, and Washington Park in Chicago. 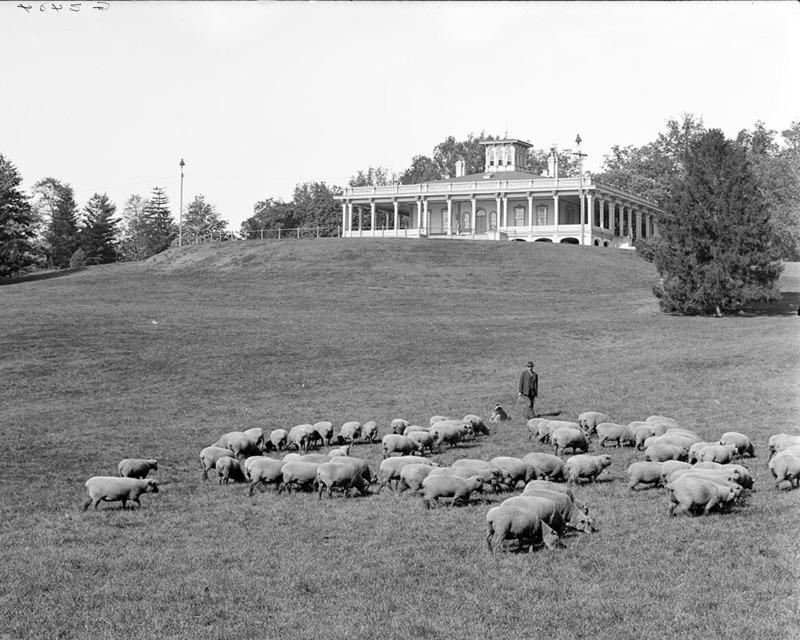 Some wealthy estate owners kept sheep for the same purpose, including John D. Rockefeller, who replaced his fleet of lawnmowers with sheep in 1913 after doing a cost and quality analysis that favored the ruminants. 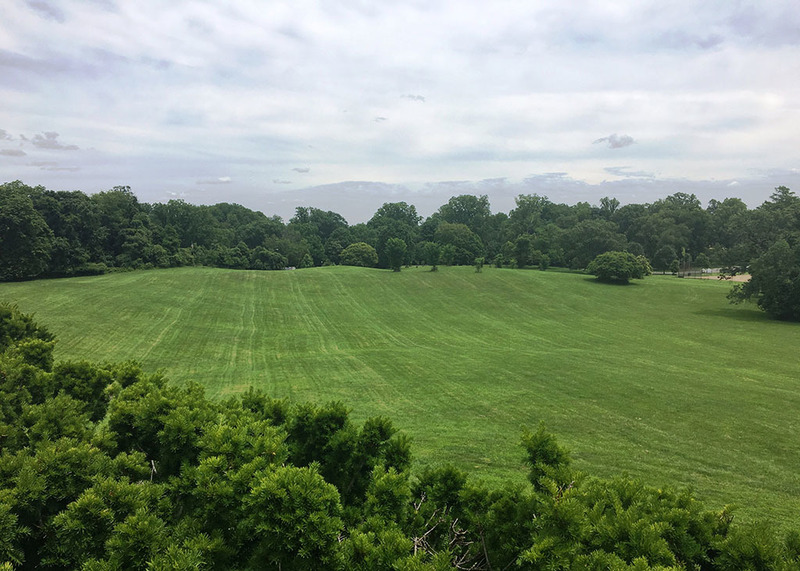 "What a beautifully peaceful thing it was to see the sheep moving out in the early morning and drifting homeward again at the end of the day," wrote Roland Mepham in 1966 of his turn-of-the-century childhood in Druid Hill Park. Mepham's father had been the park's blacksmith and wheelwright. Milton Stanley, a neighborhood kid who often visited the park, was amazed by their canine caretakers. "It seemed a near miracle to an inner city boy," the high school principal recalled in 1979, "that the shepherd dog could perform his job with such intelligence and expertise." A handful of shepherds tended the sheep over the years. The longest-serving of these was George McCleary, affectionately known as "Mr. Mac." He was a fixture in Druid Hill Park for twenty years, from 1906 to 1926. Devoted to his collies and sheep, he also mentored many young park enthusiasts. Writing in The Sun in 1958, Malcolm Lowenstein recalled visiting the shepherd almost every afternoon after school and "practically living" at the park on weekends. Mr. Mac "was better than any teacher we had in school," he wrote. "His favorite subject was animals, and the good sense exhibited by so many of them. We all learned a great deal about animal and human nature from him." When Mr. Mac turned seventy-eight, City law forced him to retire. The sheep continued on the job for another two decades but have long since disappeared from Druid Hill Park. They are replaced by tractor-sized lawn mowers whose weekly din is deafening, louder even than a seventeen-year swarm of cicadas. It really makes you think: there is something to be said for sheep and a shepherd, quietly trimming and teaching. Sarah Evans, “Mansion House Lawn,” Explore Baltimore Heritage, accessed April 23, 2019, https://explore.baltimoreheritage.org/items/show/587. Published on Jun 20, 2017. Last updated on Nov 27, 2018.